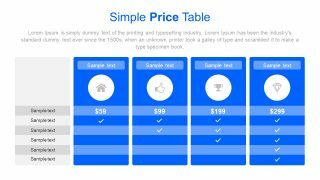 The Free Pricing & Plans Table Slides for PowerPoint is an incredible template to present company’s product and services. This PowerPoint is an amazing help while demonstrating the target market customers. Therefore, it has the chart of costs and features which appeal to customers. Similarly, the presenters can explain the competitive advantage to the company in local and international market. 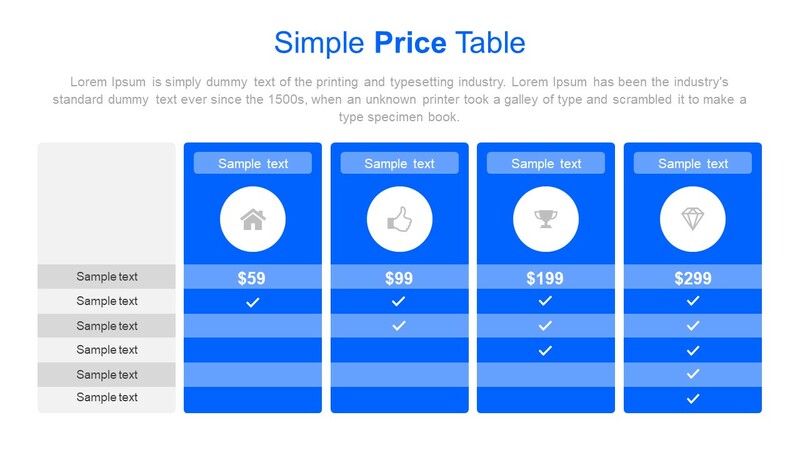 The price & plans table PowerPoint is a free template of two slides. These are the infographic PowerPoint slides with two tone table designs in both blue and gray color. The color theme of this free PowerPoint is blue, gray and white. However, this is changeable in design variant dropdown menu of colors. Here, users can either use a desire color pallet or custom create one to complement existing presentation. 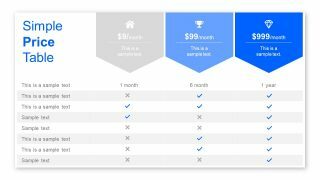 The Free Pricing & Plans Table Slides for PowerPoint is business marketing and strategic management template. The readymade slides of pricing & plans assist the users to quickly add relevant information and present to the audience. Therefore, the free templates are time saver for users of SlideModel. Also, the main catalog contains full fledge 19-slide clean business presentation PowerPoint with pricing & plans templates. The data tables are an exceptional tool, providing easy to understand logical flow of business services. The template has three and four column table slides design. Moreover, these columns have infographic icons to represent each category. 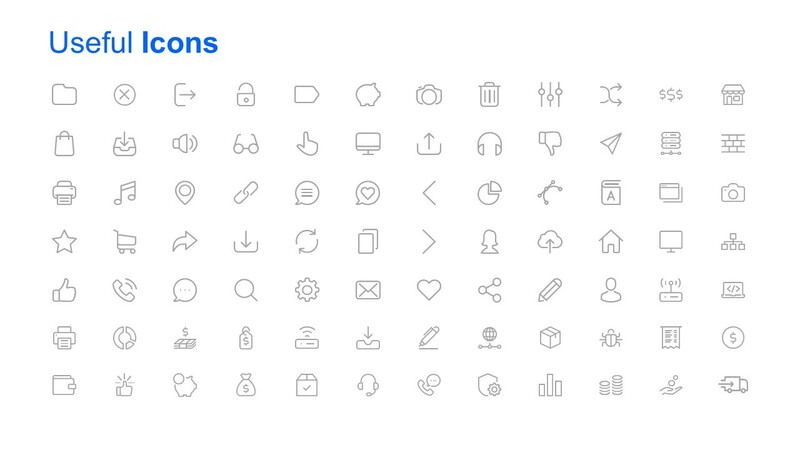 These icons include home, thumbs up, trophy and diamond shape. Along with background and table of pricing & plans, the shape of creative infographics is also editable. 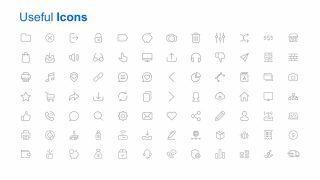 For instance, select the clipart and go to the drawing format menu to change the shape fill, outline, effects. Further, the flat design vector shapes of PowerPoint are resizable without upsetting the image quality. The modern table slides of free pricing & plans are the pre-design layouts of PowerPoint. The companies can use these professional slide designs to demonstrate the value proposition offers.